Sometimes life takes a sudden and unexpected turn. Suddenly, you are faced with personal dilemmas, and scary situations. Your well being or that of someone you love are threatened. People react differently. Some freeze like deer in headlights. Some revert to a child like state and obey whatever a doctor tells them. Some panic and lose hope. Some go into denial. Some get more determined to get themselves out of the situation. We are all probably one of these. Today, we will talk about the determined person, what they are like and what they need to do for themselves. A person who is determined, is most likely scared, overwhelmed, feeling angry and confused, and still be in disbelief. But the difference is, the scared feelings don’t stop them. The overwhelming feelings are usually compartmentalized so they take one step at a time. The angry feelings are felt and dealt with so they don’t turn into depression. 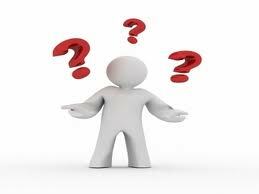 The confused and disbelief feelings turn a determined person into a person of action. They don’t want to lose hope. They believe in themselves, and choose to surround themselves perhaps with a belief in faith, and positive people in their lives. They think positive and hold firm to the thoughts that things will work out. They don’t let the negative thoughts drag them down. They will feel sad, they will have negative thoughts, but the thoughts and feelings don’t stay dominant. Determined people will look to empower themselves and turn that empowerment into self advocacy. When you have choices to make about making health decisions for yourself, or your loved ones, it is important to understand your options. Doctors, hospitals, and the medical conditions people face can be an intimidating and overwhelming situation. It is natural to feel scared and unsure of what you are going to do next. There are steps you can take to become more informed, to speak up for yourself, and to gain knowledge about the different options that are available to you. Perspective and attitude is everything. Try not to have catastrophic thinking by the believing the worst can happen. No matter what the news, there are people who have survived. No matter what the news, you have choices. No matter what the news, a large percentage of your road to recovery depends on your attitude. There is a lot to be said for thinking positive. Prayers, a good support system, and faith that things will turn out okay can help you get through the most trying of times. Doctors don’t know everything. They can be wrong too. So keep everything in perspective, keep your head on straight. Take one step at a time, so you can figure out your next moves. Educate yourself. Find out everything you can about the condition you are facing. Listen to the doctor, write down what they say, and get back to them with questions you may have. Always seek out at least two other opinions. If you choose to do research from the internet, make sure they are from reliable sources. A lot of things on the internet, may give false claims, erroneous information, or worst case scenarios. Doing research can sometimes scare you more, if you don’t have the full picture of your condition. Finding sources can sometimes scare you more, just because the information you find, may not be your situation. It is just as important to check out the site you are getting the information from, as it is to do the research on the ailments. Avoid scaring yourself by doing careful and conscientious research. 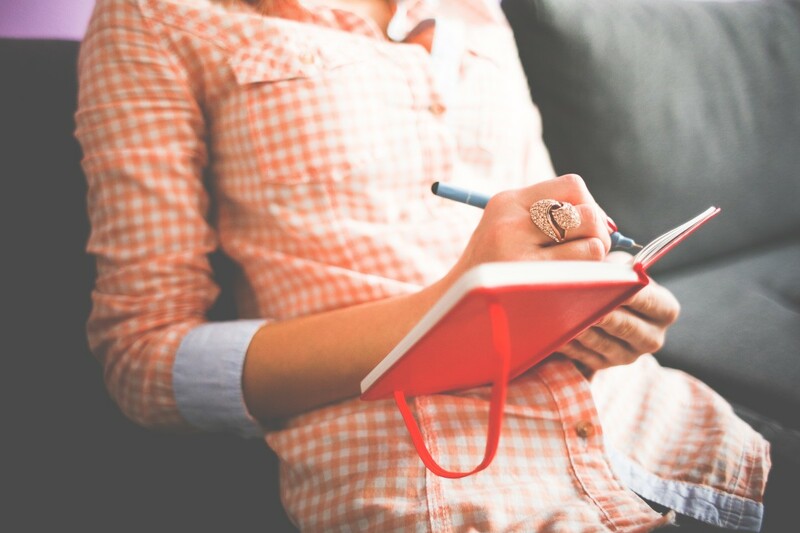 Write down any questions you have from your research and talk to your doctor about your findings. It is a good idea to try to be the first appointment in the morning, or the first appointment after lunch, or the last appointment of the day. Be concise in your questions because a doctor’s day is filled. Respect them and they should respect you. They should give you the time and attention to address your concerns and questions. A good relationship between doctor and patient is one in which they listen and guide. It should be a partnership, not a dictatorship. Don’t stay with a doctor who makes you feel rushed, or brushes your concerns aside. While they may be busy, you are important too. By the same means, you don’t want to take up too much of their time, so prioritize your concerns. The doctor should be available to answer all your questions. Don’t let them intimidate you. If they have to see other patients, ask them to call you at a better time so your concerns can be sufficiently addressed. If it is difficult for you to ask these questions yourself, get a family member or friend who is assertive to be there with you during your visits. The doctor should understand your anxiety, and want to educate you as much as possible. Be assertive. Make sure your health care professional is doing their best for you. Make sure they are understanding and reducing your stress in this situation, not adding to it. Don’t be afraid to switch doctors if you need. Challenge the insurance company if they are denying payment for certain treatments. 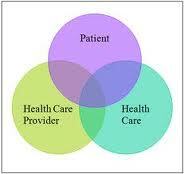 The Patient Advocate Foundation is a good source to learn about your insurance, employment and health resources. http://www.patientadvocate.org Stand up for yourself, but avoid being rude or insulting. The saying you catch more bees with honey applies. Be in the know about your health insurance policy. Understand what it covers and what it doesn't. If the provider doesn't initially cover the procedures, tests and drugs you need you can seek outside assistance. Websites like HealthCareAdvocates.com is designed to help you through the medical maze and assist you with various health provider problems. Make sure your doctor knows everything about you. If you take vitamins, alternative treatments, smoke, prior medical history, and family history as these all lead to clues about the methods they will use to get the treatment they believe is best. You can store your medical records for free at a site called medicalvault.com. All your records, imaging films, test results, vaccines and immunizations and your medical history can be kept in one location. You can let your doctor access it with your approval. People who have been in an emergency room out of state have been able to access their records so the doctors can see the bigger picture for your better care. It doesn’t matter if the doctor has more education than you. It doesn't matter your gender, your race, your religion, your ethnicity, your personal and political beliefs, it matters that you are a person. You deserve to understand and learn about what is going on with your body. You deserve to know what treatments are available to you, what will be achieved by the treatments, and what you will experience from the treatment. You are the final decision maker. 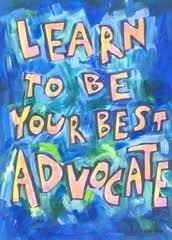 You need to be your own advocate. Doctors are wrong at times. Doctors don’t know everything. Doctors are human. Sometimes their decision is based on their own comfort zone. It is important you know where your doctor is coming from. Don’t just make assumptions that what they say is your only choice. Develop a trusting and mutually respected relationship with your doctor. In this way, you will feel like you are getting the best treatment possible. If your doctor talks down to you, treats you like you are a child, doesn't have time for you, or is barking out orders, it may be time to seek another in the profession. Even after you have sought treatment, you can still change doctors, or get other opinions about the course of your treatment. If you don’t have enough insurance, try to explain your situation and negotiate with your doctor or the hospital. Very often, especially with extended and expensive treatments, they can offer assistance. Copays.org and sites like this assist people with their financial situation. Become an aware, empowered person who advocates for their best health care. download the webmd app for your mobile device and i pad to check symptoms, treatments and drug information. there are books available that will give you advice and gain knowledge about picking doctors, managing your situation, and avoiding mistakes. Life is full of challenges, disappointments, and obstacles that we must face. People who are advocates, as opposed to taking a passive route to their self care may benefit from better health because they are taking action. An empowered person wants to make choices for themselves. It is these choices that will make them invoke action. 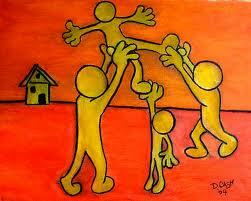 The mere act of doing something helps people feel productive, important, and purposeful. Empowerment inspires the mind to learn. Empowerment inspires the body to take action. Empowerment inspires a person to go forward. Empowerment give you the will to make things better, to want to battle, to succeed, to cope, to do positive things for yourself, to take responsibility. All these things are mentally healthy. Good mental health encourages good physical health. No one else can empower another. 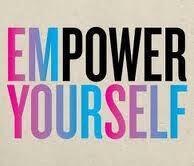 Only you can empower yourself. Do it, live it, be it. Your good health depends on you. Attitude is everything. Your beliefs lead to your thoughts. Your thoughts lead to your actions. Your actions lead to your behavior. Your behavior reinforces your beliefs. Self empowerment is the tool that will influence your thoughts, your choices. Grasp the reigns of life, and make good things happen for yourself. You have everything to gain. Seek people and professional mental health counselors who can help you when times are the toughest for you. Motivate yourself towards wellness. Never give in, never give up. Where there is life, there is hope. You have the right to ask questions, seek answers, and make decisions that affect you. It is your body, your life, your choices. Empower yourself, be determined. Hi Micky, Wow, you have been through a lot. Health care for veterans is something our country owes those who have served. I know in some ways you have wonderful benefits and they are well deserved. Part of the problem with health care is the training medical professionals are given. They rely too much on tests to cover their a**, and sometimes don't treat the patient as a person, but as the illness. A lot of reform needs to be made, but the profits from pharmaceuticals and testing equipment, insurance companiesand lawyers seem to dictating our medical care. I don't know how things will change at this rate. All we can do is speak up and advocate for improvement. Thanks for stopping by, Micky and sharing your thoughts. God bless you dear toknowinfo. My health-care is with the VA. It has been difficult in the past. Things are much better with the VA now. But the VA went through some scrutiny with many issues in the last decade. I felt that a doctor at one VA was trying to kill me slowly - I joke - and then some of "his" treatment was not a joke. I tried to change docs and the VA would not allow me to do so. I finally moved away from that area. Now I live near Durham. Duke hospital is right beside the VA. I think the VA in Durham is the best I've seen. But the health-care should be consistent and that lack is often the fault of individuals acting out of their boundaries. If a person has long hair and falls through a roof breaking the scapula, separating the shoulder, and pulling a rib apart from the sternum - you can sit in the emergency room from around 2 PM to around midnight before you're taken seriously. Meanwhile "they" have run tests on the "bearded potential drug user" to make sure that he isn't given a drug for pain. I've seen situations similar as this one that actually happened to me. But the USA is very inconsistent with "care". Access to your files may even be difficult to obtain. Thank you for the hub. I hope we can truly go forward with basic rights for our people concerning medical care. We are our brothers' keeper. Hi Amillar, I am glad my advice can help you across the ocean. Healthcare in the U.S. isn't a nightmare, as long as you don't really need it. Healthcare seems like a nightmare in the USA to me toknowinfo. I've always had the NHS (National Health Service), except for one month of my life, because it started in March 1948, and I was born in February 1948. However, it's always under threat, the largest part of the threat being the apathy of the British people, so it won't do me any harm to keep in mind the excellent advice you've given here. Hi Simone, getting a copy of your medical records is the first step in self empowerment. Legally, they are your records. It is in your best interest to have a copy. 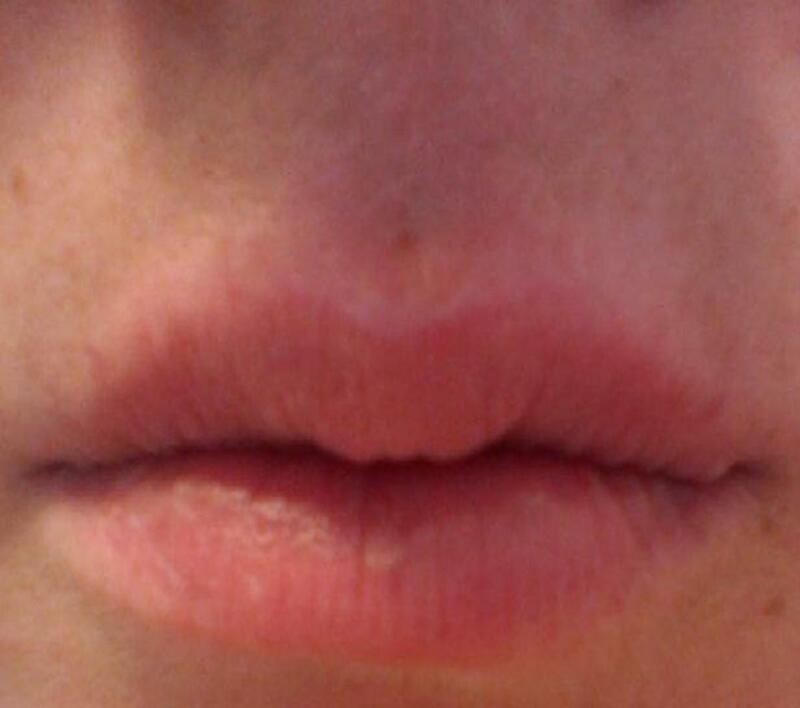 When I went back to college for my masters, I needed to prove I had the rubella shot. I knew I had the immunization, because I had to have the vaccine before I was pregnant with my kids. My ob/gyn, didn't have a record of my vaccine, they only had the titer reading Whoever gave me the shot, I couldn't remember, and so I had to get another vaccine to be allowed to attend the college campus. I got it, but I learned to keep my own medical records for me and my family. I have a record of my kids immunizations so they won't have to do what I did. I just have to remember where I keep those files in the house. (LOL) So I suppose I should follow my own advice and scan them to the internet. Thanks for the votes up and get your medical records ASAP. Hi Pdog, your comments are so true. Some people can't help their negative thoughts. Some people panic and their anxiety takes over. I hope my hub can help with some alternative approaches. Hi Mentalist, thanks for commenting. People react differently to the same situations. Glad you stopped by. 'they dont let the negative thoughts drag them down' - that sums it up for me - it is a choice. To have negative thoughts is a choice and it is our responsibility not to let them drag us down. Would we choose to drink poison? No, so why have negative thoughts? You meet people who have not learned this one. Great hub (again) TKI!